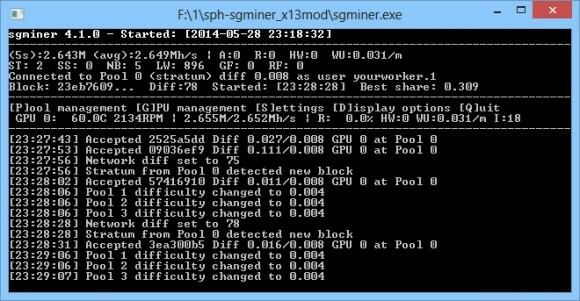 The fork of sph-sgminer from lasybear released a few days ago has received an update with support for mining X13 crypto coins such as MaruCoin. The update for X13 support follows the idea of the previous optimization of the kernel for X11 and also brings improved performance. Do note that there is no need to download this update if you are mining X11 as it will not bring further performance increase to X11 mining, the optimizations in this build are only for X13 coins. 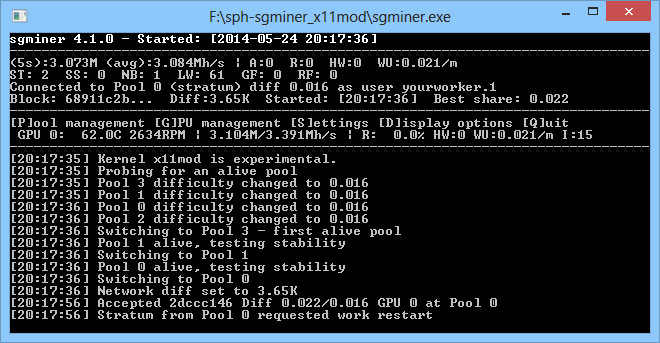 With the official sph-sgminer we were getting around 1.5 MHS mining MaruCoin (X13 coin) and with the windows binary we have compiled (source here) we are able to get up to about 2.65 MHS on a Radeon R9 280X GPU as you can see on the screenshot. Just edit the included config file that is already setup for X13 mining and you are ready to mine X13 coins with a nice performance boost. Do note that currently X13 is GPU mineable only with AMD graphic processors, there is still no miner available for use on Nvidia GPUs. The Windows binary has been updated to the latest source that includes a fix for for older AMD Radeon HD 5xxx/6xxx series cards. For these cards you need to use “kernel” : “x13modold” in config file or -k x13modold from the command line. For newer cards such as Radeon HD 7xxx or the R7/R9 series you need to use the standard x13mod kernel. A few days ago a modified x11 sgminer appeared offering higher performance for AMD GPU miners. That release however has been controversial as the author did not release the source code and only binaries thus violating the GPL license of sgminer. Furthermore he has released only compiled binaries and added a forced 2% fee by hardcoding the miner to switch to another pool to mine some of the time. And while the author’s approach was not good at all, still many people used the miner just because of the significant performance increase not caring about the rest. 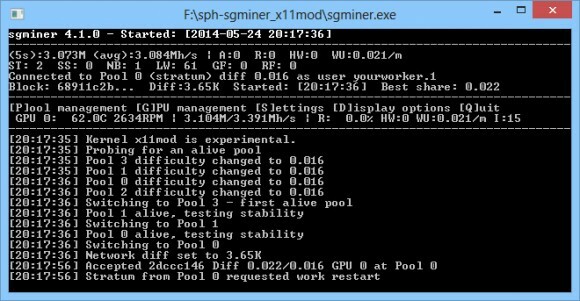 The good news is that there is now a fork of sph-sgminer from lasybear that uses the kernel from the controversial miner providing the same performance, but with the source code available and no 2% forced fee. We have tried it and can confirm it is working well, we have also compiled a windows binary that you can download and try.